Fun Elephant Photo Gifts and More! Exploring colors through interactive children's picture books! From Our House to Yours! 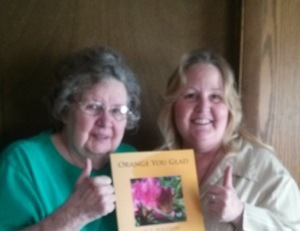 My daughter and I would like to share our book Orange You Glad with you! Join the wiggling, giggling fun as I read and SJ wiggles and giggles on my lap : ). This is our first video, which is less than perfect, but it was a fun experience. Today in homeschool we learned how to record and edit a video (well, at least i did!). Orange You Glad in Print! Orange You Glad in print! My Proof book sent to America for my editors to review : ). We are making some minor changes and uploading to Createspace now! UPDATE: Orange You Glad PRINT available now! And the winner is: Blue Went to Sea with 172 free downloads! Orange You Glad in third with 109 free downloads (not shabby!). ORANGE YOU GLAD it’s FREE! Orange you glad that book number two is being uploaded right now! Visit S. L. Poulton's profile on Pinterest.